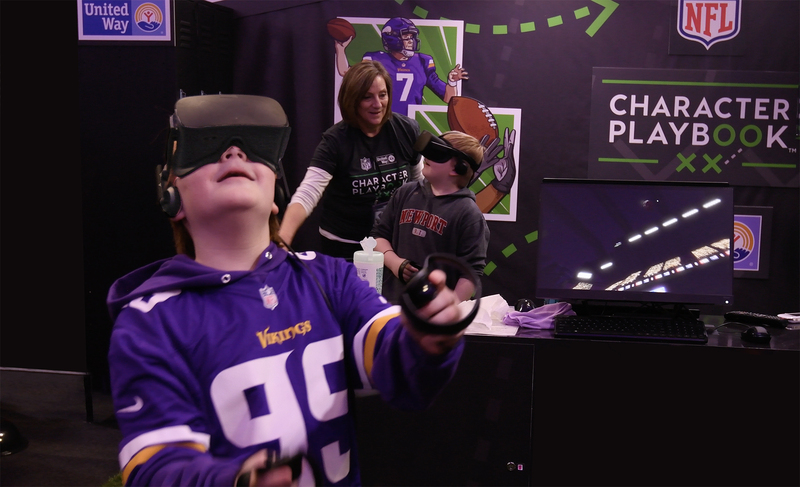 As preparations took shape for Super Bowl LVII in Minneapolis, Haberman helped bring the Greater Twin Cities United Way Character Playbook™ to life at the Super Bowl Experience, an 8-day event open to the public at the Minneapolis Convention Center. Character Playbook is a joint effort between the NFL and United Way that gives thousands of middle school students innovative tools to cultivate and maintain healthy relationships. 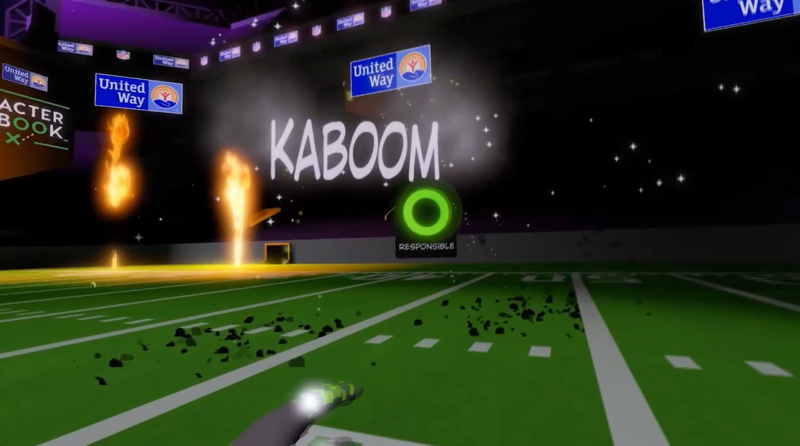 Haberman’s strategic and creative idea, executed with production partners Pixel Farm and Street Factory Media, was a 360° virtual reality (VR) world called “It’s In Your Hands,” which used VR football action to model good decision-making. For every $10 donated to Character Playbook, Super Bowl Experience visitors had a chance to win two tickets to the game. NFL players donated their time during production and also stopped by the interactive booth to try the experience for themselves. Stefon Diggs, Kyle Rudolph, Case Keenum, Adam Thielen, Everson Griffen, Calais Campbell, Patrick Peterson and Demario Davis all helped bring the project to life. With only weeks to prepare, we created the 360⁰ VR experience, “It’s In Your Hands” which engaged kids in making good decisions. 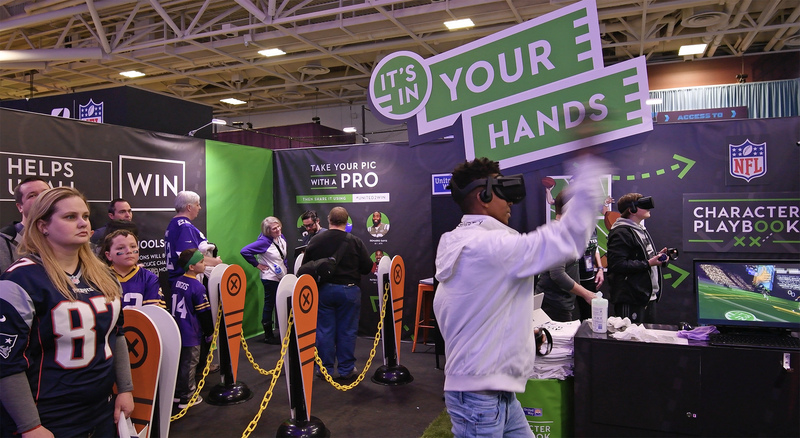 NFL players donated their time during production and also stopped by the interactive booth to try the experience for themselves. Stefon Diggs, Kyle Rudolph, Case Keenum, Adam Thielen, Everson Griffen, Calais Campbell, Patrick Peterson and Demario Davis all helped bring the project to life.